It’s been a bad day for celebrity relationships — even the ones that seemed stable and long-lasting. First, we learned that Jennifer Hudson has split from her fiancé of nearly 10 years. 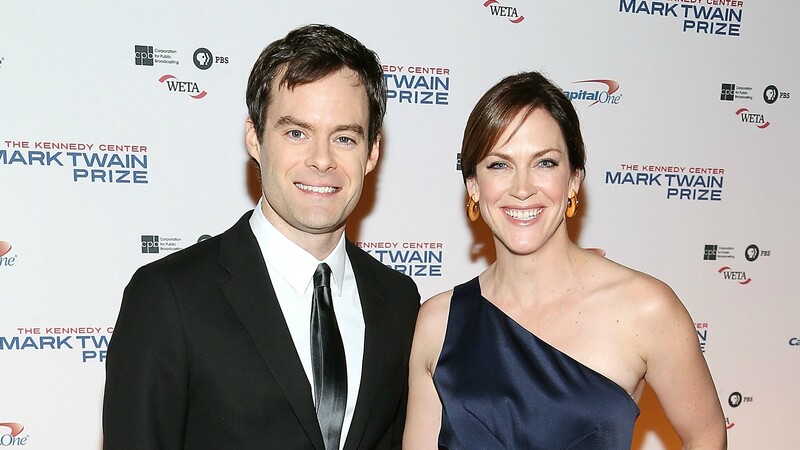 And now, People magazine has revealed that Saturday Night Live alum Bill Hader is separated from his wife, filmmaker Maggie Carey. The site reports that they actually separated last July after 11 years of marriage — they tied the knot in 2006 — and they’re in the process of divorcing now. They share three daughters: 8-year-old Hannah, 5-year-old Harper and 3-year-old Hayley. It’s especially heartbreaking because Hader, who was one of the best SNL stars in recent memory, actually quit the show just to move to Los Angeles to be with his wife, who was working there at the time. He joined the cast in 2005, just a year before he and Carey got married, and lasted eight seasons before calling it quits on having a long-distance relationship. While Hader is definitely best known for SNL, he also recently starred alongside Amy Schumer in Trainwreck (before you get any ideas about ‘shipping those two, like their adorably perfect relationship in the movie, she’s newly off the market). He also appeared in Superbad and Hot Rod. Carey has been more behind-the-scenes in Hollywood. Most recently, she directed the 2013 comedy The To Do List and some episodes of Brooklyn Nine-Nine.